Likeitlots, the official partner of eKomi The Feedback Company in UK, is excited to announce its presence at London Edge in January 2019! To buy or not to buy? These days customer reviews are a crucial component of a purchase decision. With 85% of consumers trusting online reviews as much as a recommendation from a friend, brands should not neglect the power of social proof. 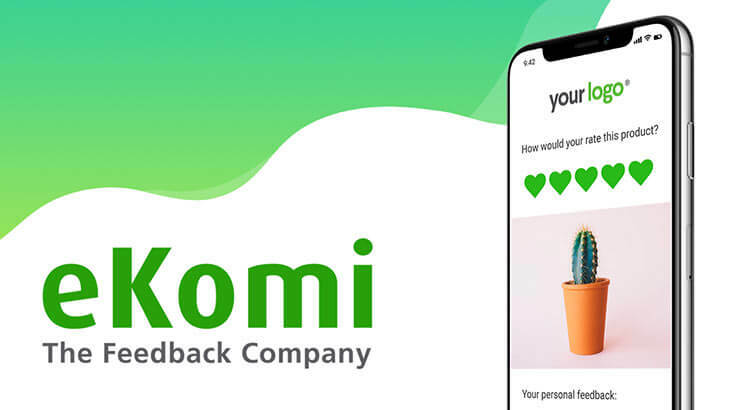 eKomi helps its clients to collect, manage and market authentic customer feedback both online and offline! We believe that by giving a voice to your customers you may not only gather actionable business insights, but also unlock the silent satisfied majority, which simply loves your product but never thought of saying it out loud. By leaving a review your customers become your advocates and start promoting your business. Furthermore, eKomi is an official Google syndication partner and one of a few companies in the world that is allowed to activate Seller Ratings (stars) on Google! These little shiny stars may seem insignificant, but they may increase your Ad CTR by 17%! Come to the Likeitlots & eKomi booth at London Edge this weekend to learn more about how you can leverage the power of social proof to grow your business.